Nonfiction—the “fourth genre” (along with poetry, fiction, and drama)—is a literary field affecting bestseller lists, writing programs, writers’ workshops, and conferences on the study of creative writing, composition/rhetoric, and literature. It is often labeled and/or limited as “creative” or “literary” nonfiction and subdivided into essay, memoir, literary journalism, personal cultural criticism, and narratives of nature and travel. A vital and growing form, nonfiction has, until now, needed a sustained discussion about its poetics—both the theory and the craft of the genre. 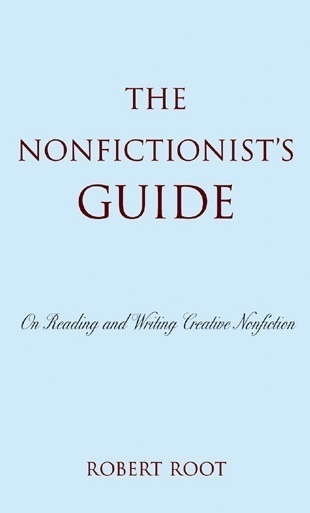 The Nonfictionist’s Guide offers a lively exploration of the elements of contemporary nonfiction and suggests imaginative approaches to writing it. Each chapter on a vital aspect of contemporary nonfiction concludes with a separate section of relevant “notes for nonfictionists.” Beginning with a new definition of nonfiction and explanation of the nonfiction motive, Robert Root discusses the use of experimental forms, the effects of present and past tense and experiential and reflective voices, and the issue of truth. He provides groundbreaking explorations of the segmented essay and the role of spaces as an essential literary device, guiding both readers and writers through the innovative and stimulating ways we write nonfiction now.